The South Tambey gas condensate field is located in the north-east of the Yamal Peninsula. By PRMS standards, the field’s proven and probable reserves are estimated at 926 billion cubic meters. The field is being developed by JSC Yamal LNG, a joint-venture of NOVATEK, TOTAL, CNPC and Silk Road Fund. The Project consists of construction of a liquefied natural gas (LNG) plant with an output capacity of around 16.5 million tons per year. Atthe same time, the Yamal Peninsula is the territory of the indigenous people settlement – the Nenets, whose subsistence system is based on a large-herd nomadic reindeer breeding. About 300 thousand deer graze on the peninsula. 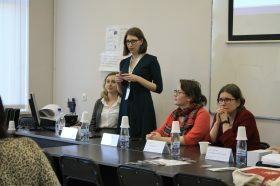 “EthnoExpert’s” task was to study the possibility to consider the indigenous population interests during the South Tambeyskoye field industrial development, taking into account social and environmental risks and impacts on grazing land. In the course of the project, “EthnoExpert” collected the data about the local population social characteristics as well as the features of the ethno-cultural environment, the preservation of traditions and language among the indigenous population. 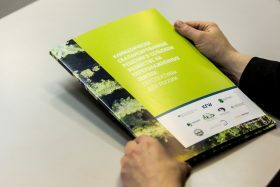 Furthermore, the company’s experts studied the materials on traditional nature management territories, including their legal assessment, and local organization activities representing indigenous people’s interests. 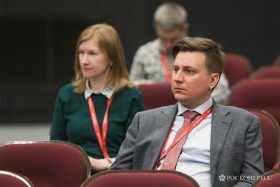 “EthnoExpert” offered concrete measures to organize the works at the field, and some recommendations about the negotiation process with the indigenous population. These proposals promoted a successful Yamal LNG project implementation and were the basis for the Yamal LNG’s Yamal District Development Plan development of (2014-2018).